When Internet Security firm Trend Micro reveals that more people in the Philippines download mobile games than the rest of Southeast Asia, I was not surprised anymore. The Philippines is already the social media capital of the world. This goes to show that even if they have the slowest Internet in the world, it does not hinder them from accessing Facebook to communicate with their friends and family. While we are on the subject of social media, you might have remembered that this country is also home to the city where the most number of Instagram selfies were taken. And if they are sharing their selfies on Instagram, it could be inferred that there is a significant number of people who own smartphones. Of course, if they have a smartphone and they access Facebook and Instagram often, it is also natural for them download mobile games as well. 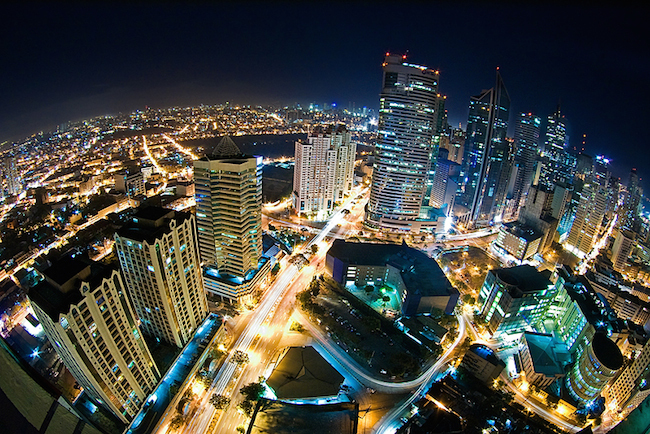 Filipinos download more mobile games than any other country in Southeast Asia. 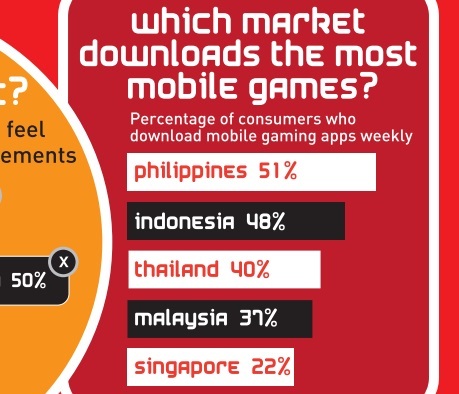 Indeed in a survey done by security firm Trend Micro, 51% of Filipino smartphone owners download mobile games weekly. That is definitely the highest in Southeast Asia, followed by Indonesia at 48%, and Thailand at 40%. 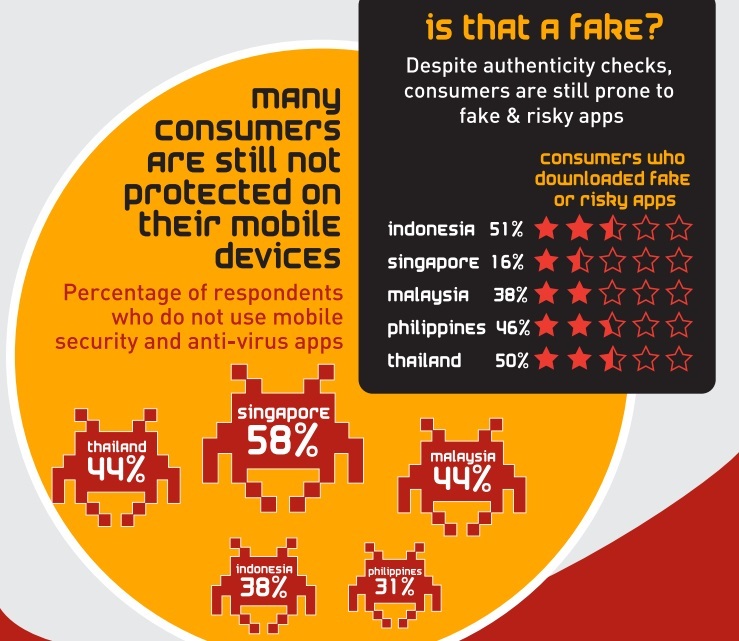 In the infographic shared by the firm in conjunction to the release of their Dr. Safety Security app, it was further revealed that most Filipinos spend more time reading reviews of the games they download compared to their Singaporean neighbors. More people in the Philippines spend time reading reviews before downloading apps. However, it should be noted that it is also the Filipinos who confessed that they might have downloaded risky apps and do not have anti-virus apps on their smartphones. 31% of Fiipinos do not have anti-virus apps. I myself do not have a anti-virus app on my Android. I have always believed that as long as I download from trusted brands (think Evernote, Google, and the likes), and only from Google Play, I am not at risk of getting these viruses. However, when one of these trusted brands (specifically Spotify) announced that there was an unauthorized access on their database, I realized there is always risks in downloading any app from the Internet, be it on your smartphone or computer. 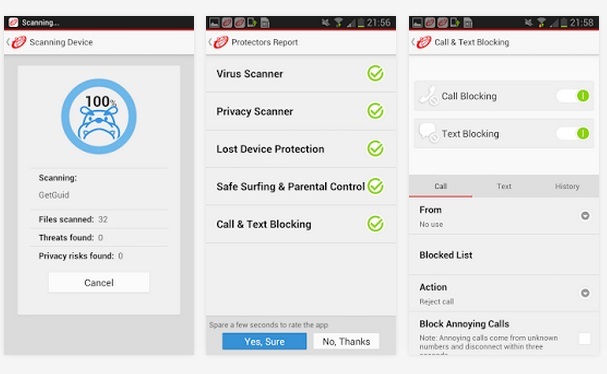 Through its research, Trend Micro found out there is indeed a need for smartphone security apps. That’s why they release Dr. Safety Security App, which has lots of security features, including scanning game accounts, anti theft, anti-phishing, and privacy safeguard. While we are on the subject of gaming apps, Dr. Safety can also detect if a particular app can steal information from your account. This is very important, particularly to those accounts that needs to sync with Facebook. As mobiles are already a trend in Asia and the rest of the world, users are now more prone to viruses and malware. 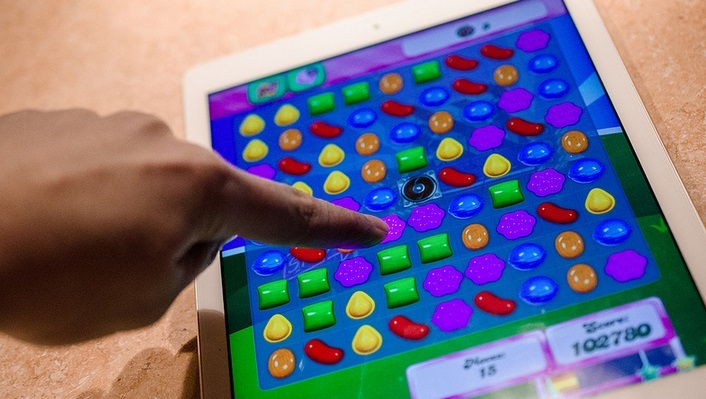 Sometimes, these malware often hide as in-game advertisements – which is one of the ways free-to-play games earn some revenue. In-game advertisements are, in most parts, not controlled by the game’s developer. I think that is one of the reasons why a certain number of smartphone users in Southeast Asia would prefer to spend money rather than play free-to-play games. It is astounding to find out that more than 63% of users in Thailand are willing to pay more than $10 for games. In the less-than-$2 category, more people in Singapore are willing to pay that price compared to any other country in Southeast Asia. Singapore hates in-app advertisements. Period. Perhaps that is the reason why more Singaporeans hate in-game advertisements, because they pay for it, don’t they?